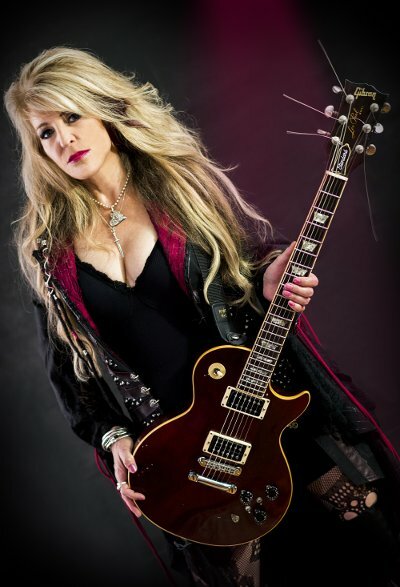 Janet Gardner, the lead singer for Vixen, has undergone surgery for a subdural hematoma. The affliction, which is a collection of blood on the surface of the brain, is normally the result of an injury; however, it is not known how Gardner's began. She was taken to the hospital on Friday (January 12) after playing a solo show with her band at the Whiskey A Go Go in Hollywood. I wanted to take a moment, and catch everyone up on the last few, very eventful days. First, I would like to thank everyone who came out to our show in Los Angeles, at the Whisky a GoGo, on Thursday. We had a wonderful time, and the crowd was amazing! Unfortunately, on Friday, things turned a little upside down on us. I was rushed off to the hospital, and had to have emergency surgery to remove a subdural hematoma that was putting pressure on my brain. They had to drill a hole into my head to remove the hematoma and put a titanium plate in to cover the hole. I am literally a metal head! I apologize for having to cancel the Vamp’d show last night. We will be rescheduling that soon. I will keep you posted on my recovery. Janet's next show is scheduled for January 19 in Joliet, IL. Gardner was one of the four original members of Vixen when it formed in 1983 and appears on three of their four studio albums, Vixen (1988), Rev It Up (1990) and Tangerine (1998). She was part of the band, when it was together, until 2002 but left due to disagreements within the group. She rejoined in 2012. Janet is currently promoting her first solo album, Janet Gardner, which she recorded with her husband, guitarist Justin James, was released last August.